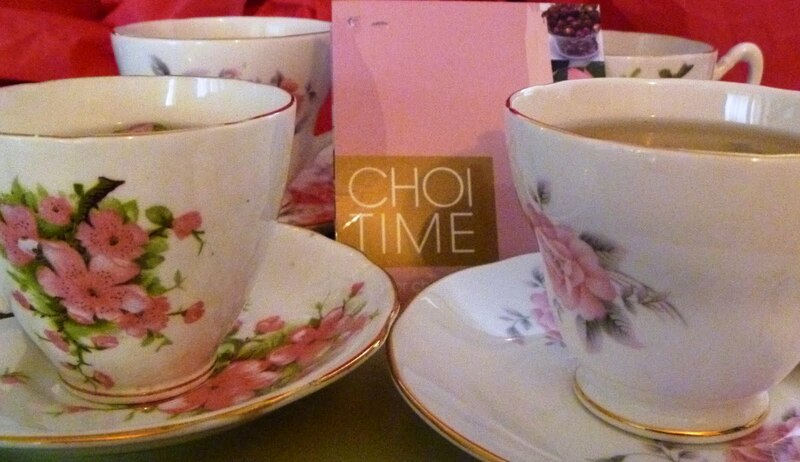 Choi Time Tea, the luxury chinese tea specialist was founded in 2004 by Melissa Choi. Choi Time ethically buys and imports quality chinese green tea directly from small, local tea growers in China to your teacup. Hailed the "Dom Perignon of the tea world" by the Sunday times style magazine, Choi Time tea is full of health benefits and completely natural, providing a great way to detox. 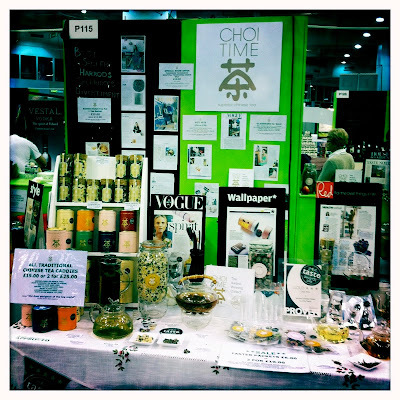 I first encountered Choi Time tea at The Real Food Festival back in May. My four year old daughter was entranced by the beautiful display and the glass cups and tea pots which contained such pretty flowers in them. She was even more entranced by their names - "Jasmine, Rose" (synonymous with her favourite princesses) and felt sure that this is the kind of tea that princesses must drink. 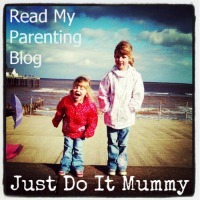 She is really into taking afternoon tea, as am I, so when I was invited to take part in a product review campaign for Choi Tea via Fuel My Blog, we jumped at the chance and she was very excited at the prospect of drinking flower tea!! In China, tea is like wine. Much care is taken over growing tea and creating different varieties. The Choi Time range includes Jasmine green tea pearls, Damask Rose tea buds, White Silver needle tea, Chrysanthemum flower tea and the astounding eye-opening giant flowering tea bulbs. My daughter was very excited when the flowers unfurled in front of her. They also sell some beautiful glassware including tea pots, cups and glasses. Damask Rose Tea is a light, delicate and fragrant caffeine-free tea from the Fujan province of china. 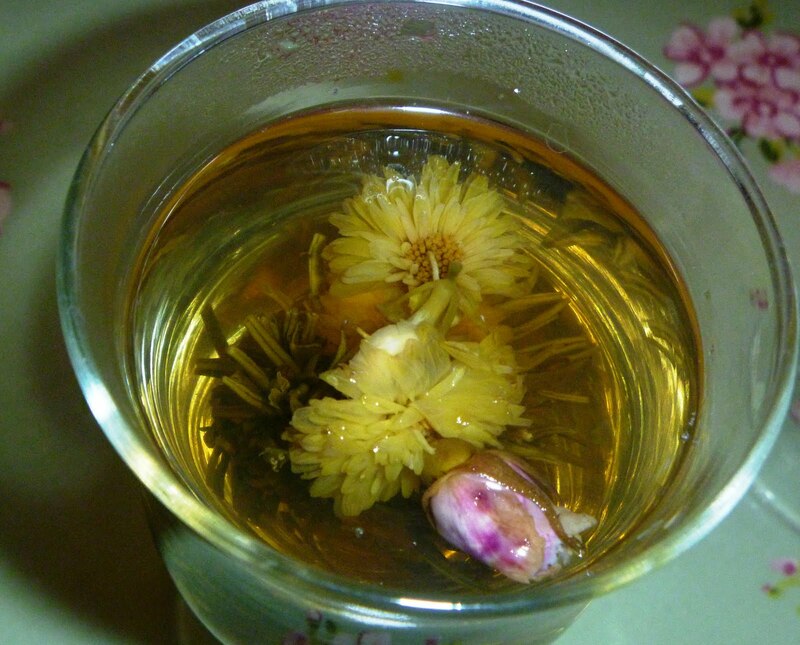 Rosebud Tea can help relieve anxiety and stress, boost circulation and give your skin a healthy glow. The aroma of the tea was amazing. 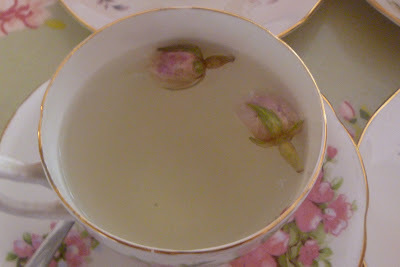 It took me back to those summer days as a child making rose petal perfume. This wonderful tea was delicious and was surprisingly refreshing without tasting too flowery. It also tasted delicious warm, or iced cold and this was eldest's favourite tea - definitely the height of decadence. Described as visual theatre, this interesting flower bud burst to life when it was dropped into boiling water, unfurling to reveal a beautiful flower. Made from green needle tea and jasmine blossoms, Thousand year red may help to aid digestion, strengthen the immune system, lower cholesterol and fight the ageing process. This was my favourite of the tea bulbs. 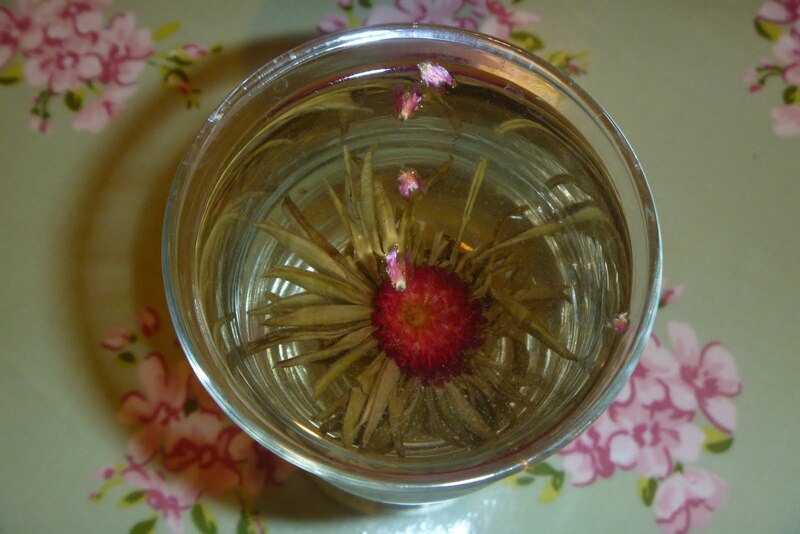 It tasted very fragrant, and was very easy to drink. 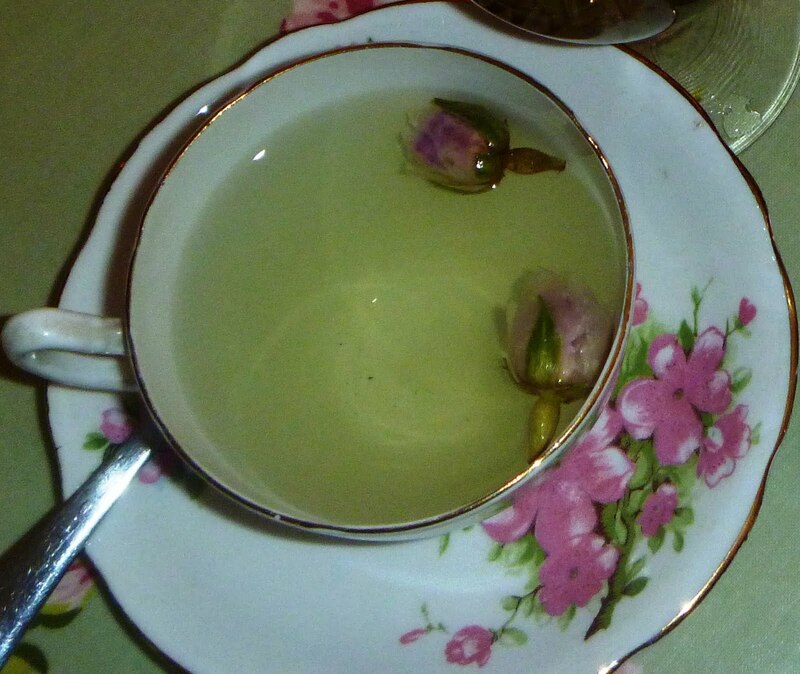 The taste became more fragrant, the longer the tea stood. The chinese believe that the colour red (symbolised by the red flower) brings luck, happiness and prosperity - lets hope so!! Exotic Mixed Flowers tea was by far the most theatrical. Before being placed in water, it reminded me of a hard walnut. 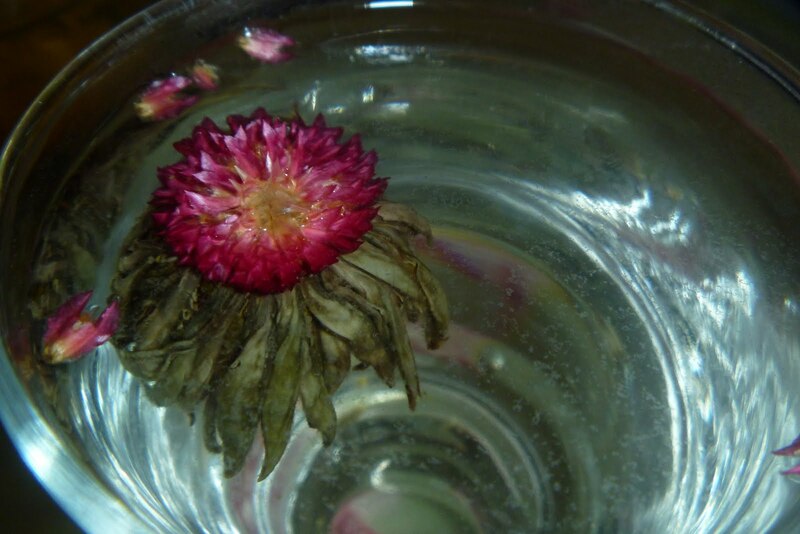 However, once placed in the tea, it sunk to the bottom and these beautiful flowers immediately started popping up to the surface. I believe that the mixed flowers here were Rose and Chrysanthemum. 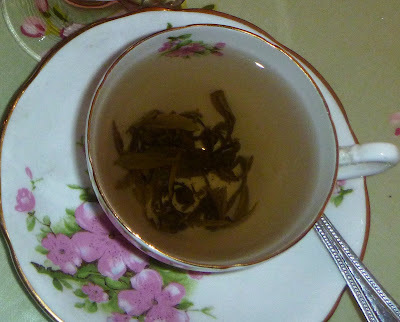 Personally, the taste didn't appeal to me as much as some of the other teas, but it still tasted pleasant, if a little heavy and flowery for my liking. Again, this tea has health benefits including being beneficial for those who suffer from asthma, bronchitis and coughs. 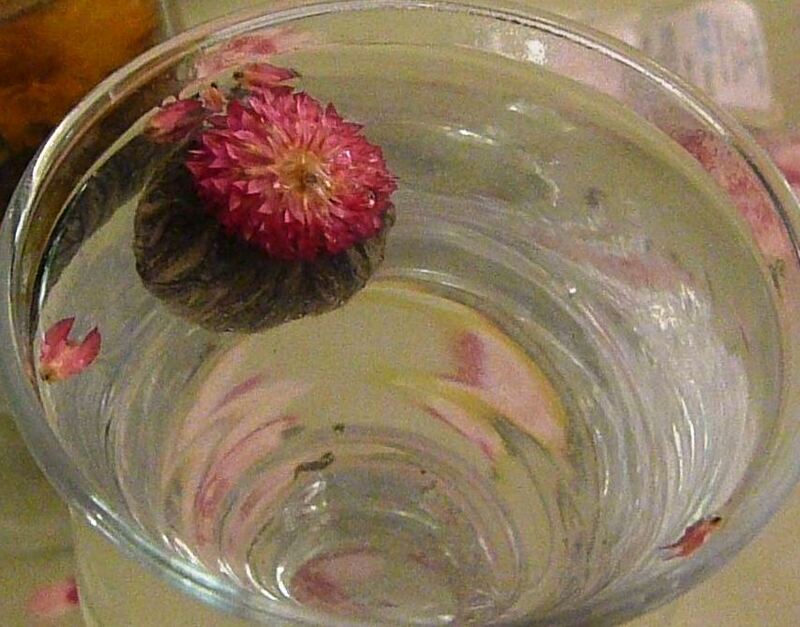 It is also said to aid digestion, detoxify and calm nerves. Research has shown that drinking 3 cups of green tea a day can help you lose 75 calories. It is also suggested that you drink 3 cups a day for maximum health benefits. 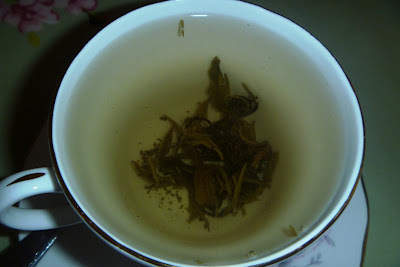 The Jasmine tea tasted light, delicate, soothing and refreshing. I used to drink a lot of green tea and this was a reminder that I should start drinking more! Thanks to Choi Time for introducing me to such a unique, interesting tea-drinking experience. 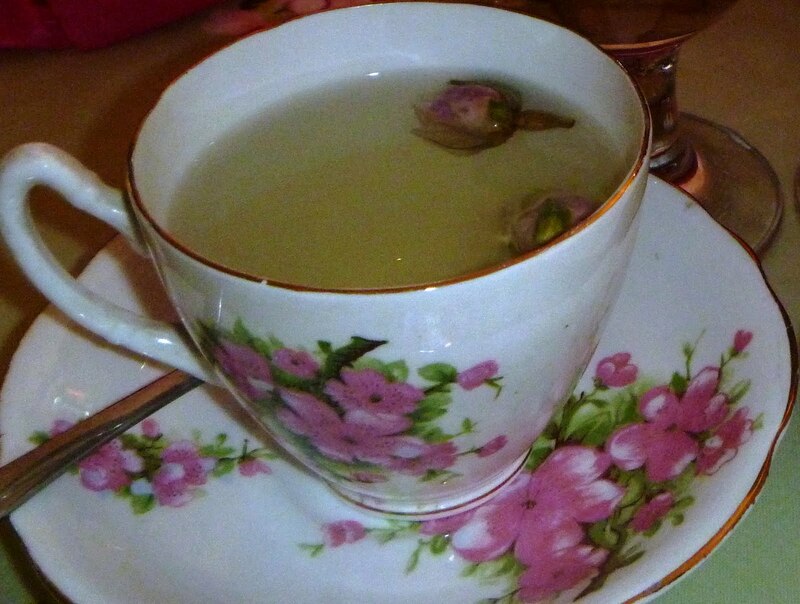 Since sampling the tea, I can't get the taste of the Damask Rose Tea out of my head and so think I shall certainly have to order some. 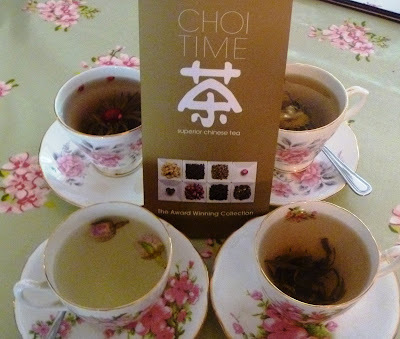 Choi Time tea is sold in Harrods, Selfridges and also online. Choi Time are kindly offering a 10% discount to Vegetarian Experience Blog Readers. Just enter the code "VegetarianExperience" at the checkout.